We have been warning you against CPNs since at least 2013. More recently, we wrote nearly 3,000 words on CPNs, which you should really read. That article dives deep into the laws surrounding so-called CPNs. CPNs don’t even exist. It’s just a term used to conceal the fact that you’re committing aggravated identity theft. Here’s proof (which you can read here or below) from the Department of Justice. 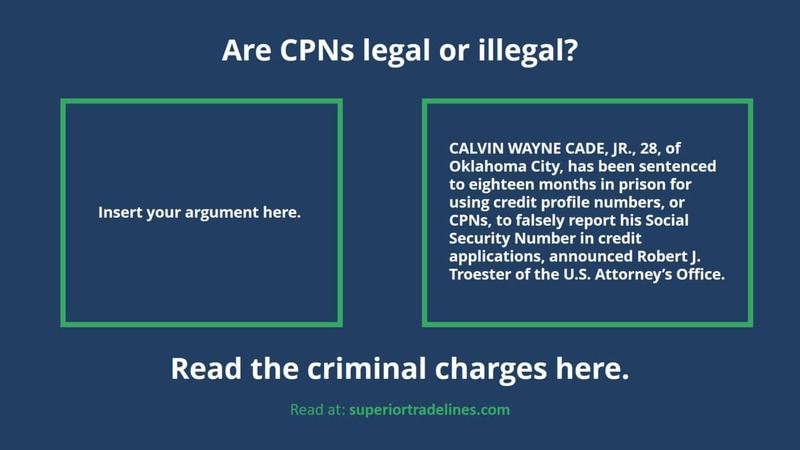 CPNs are illegal and can result in prison time. While a debate is a good thing, because it keeps our minds sharp, there is no debate when it comes to the legality of the CPN. There’s the easy part. Now, what do we do with your negative credit history? There’s quite a lot you can do. You can do credit repair, debt negotiation, debt settlement, different forms of bankruptcy, add tradelines, etc. You’re not without options. 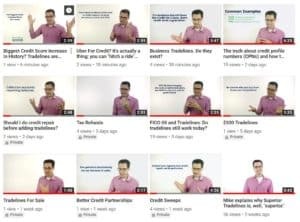 In fact, with all the consumer protection laws on the books and companies (like credit repair companies) that have commercialized them, you have plenty of options. If you’ve come to realize that CPNs are not legal and you’ve come to realize we’ve been telling the truth about them for nearly 10 years, then you now realize we’re probably a company you can trust. We will evaluate your credit report, for free, and tell you what we believe is realistically possible. You can call us at 800-431-4741, email Mike, Raj, or Brad or click here to get started. We look forward to helping achieve your credit goals, especially without CPNs. 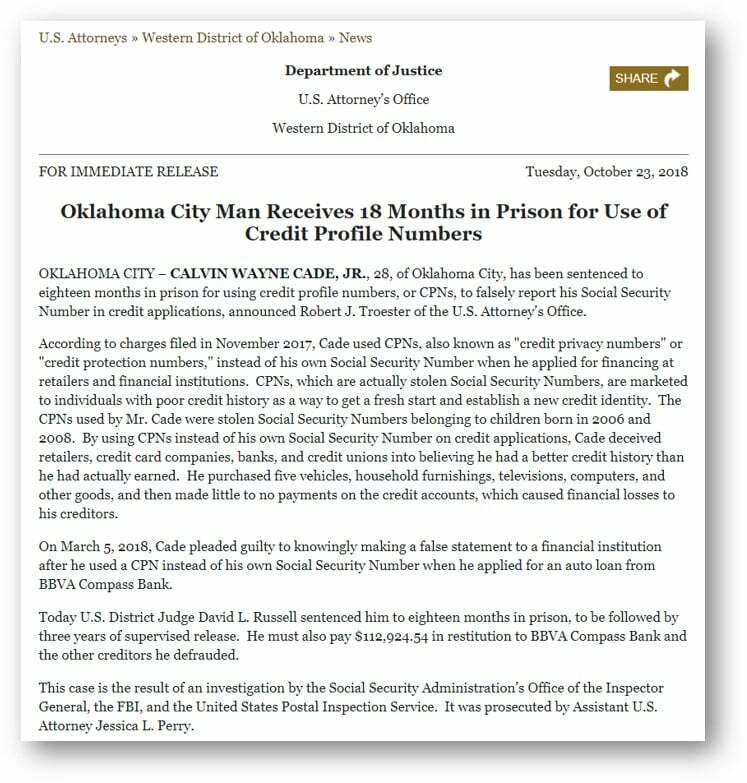 Previous Post Tradelines for credit repair. Next Post What is an updated tradeline? The searched term sweeping the nation.